Beaufort Yacht Basin is located uniquely in the middle of many of the area's attractions both on land and by sea. 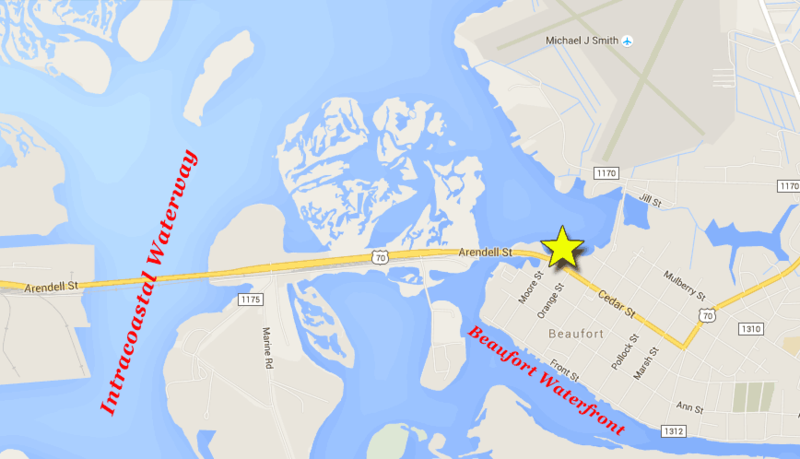 Our marina's location makes Beaufort Yacht Basin a great marina for sportfishing: just 15 minutes to Beaufort Inlet. Our central location is also great for pleasure boating as it is convenient to the excitement of the Beaufort Waterfront, Morehead City Waterfront and the Crystal Coast. For transient boaters, we are just five minutes from the Intracoastal Waterway, and a 5 minute walk or golf cart ride from Historic Beaufort and the Waterfront. North Carolina waterways are notoriously shallow. Town Creek in Beaufort is no exception. Please use caution when navigating to Beaufort Yacht Basin, especially if it is your first visit. 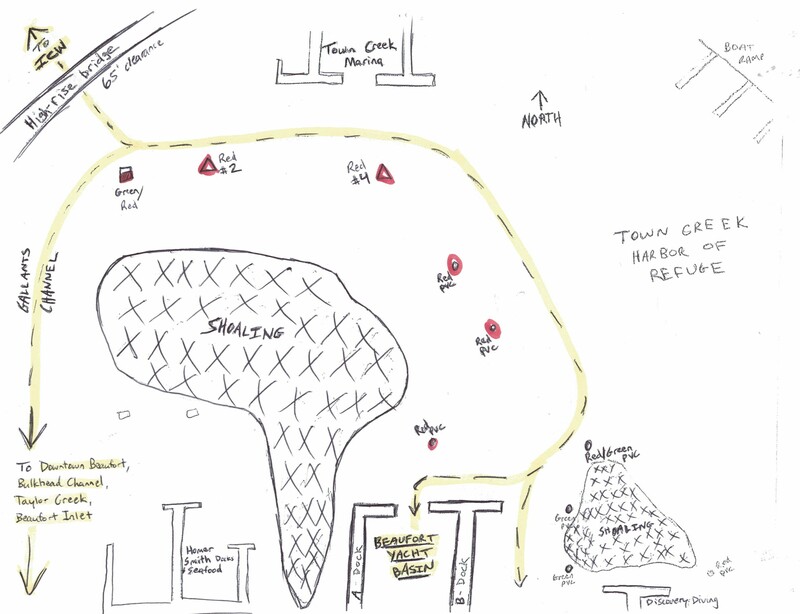 Use this description and sketched map as a guide, but please keep in mind that conditions can quickly change. Shortly after exiting Adams Creek Canal on the ICW southbound, take the Russell Slough channel at the junction daymarker just past ICW daymarkers 29 & 30. Approximate coordinates of the junction: 34.757712, -76.673100. Follow the Russell Slough channel for approximately 1.5 miles to the next junction with Gallants Channel. Approximate coordinates of the juntion: 34.735505, -76.676219. Follow Gallants Channel southeast passing under the new US-70 high rise bridge (clearance approximately 65').  As you pass under the bridge, look for a junction bouy, and two red bouys off your port quarter. Follow the two red bouys (#2 and #4), then three red/white PVC poles, keeping them all to your starboard. B dock is to the east (left), A dock is to the west (right). If you are docking on the east side of B-dock (odd numbered slips), be sure to keep the green/white PVC poles to your port. After passing the NC State Port, and under the US-70 high rise bridge between Morehead City and Radio Island, the channel forks. The ICW continues due north. Instead, take the Chimney Island slough channel to the right (heading approx 045 degrees) immediately after passing under the bridge. Follow the Chimney Island Slough channel for approximately 1.25 miles to the next junction with Gallants Channel. Follow Gallants Channel southeast passing under the new US-70 high rise bridge (clearance approximately 65'). As you pass under the bridge, look for a junction bouy, and two red bouys off your port quarter. Follow the two red bouys (#2 and #4), then three red/white PVC poles, keeping them all to your starboard. B dock is to the east (left), A dock is to the west (right). If you are docking on the east side of B-dock (odd numbered slips), be sure to keep the green/white PVC poles to your port.